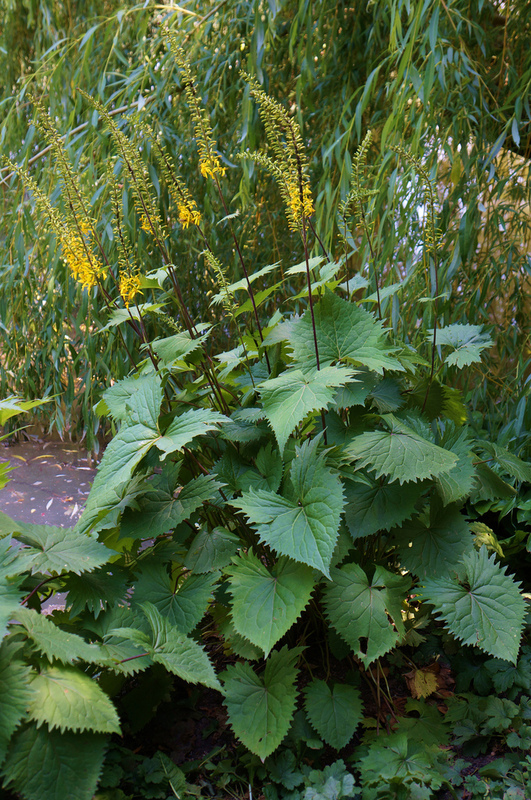 Ligularia stenocephala ‘The Rocket’ has all the plant tag phrases that make me swoon: imposing clumps of deeply toothed foliage with 5′ tall bottlebrush-like spires of yellow flowers on black stems. Zone 4. Photo by Karl Gercens III. 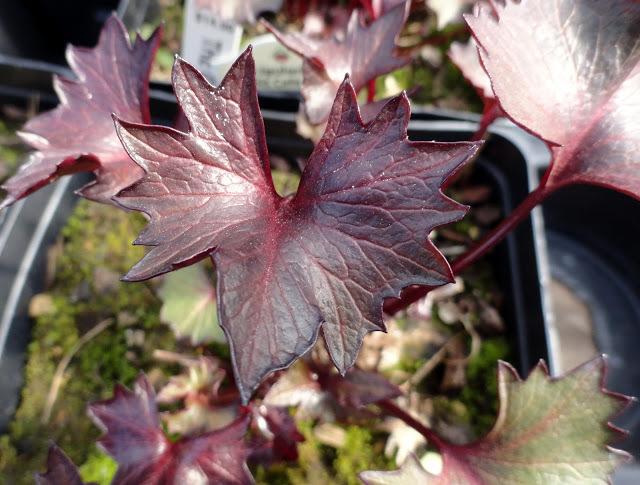 Ligularia osiris ‘Cafe Noir’ is also a heart-breaker with large, purple-black, leathery, serrated leaves. Zone 4. 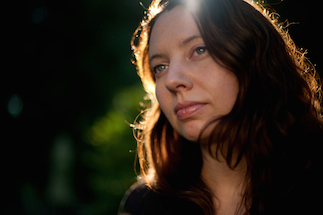 Photo by Loree Bohl. 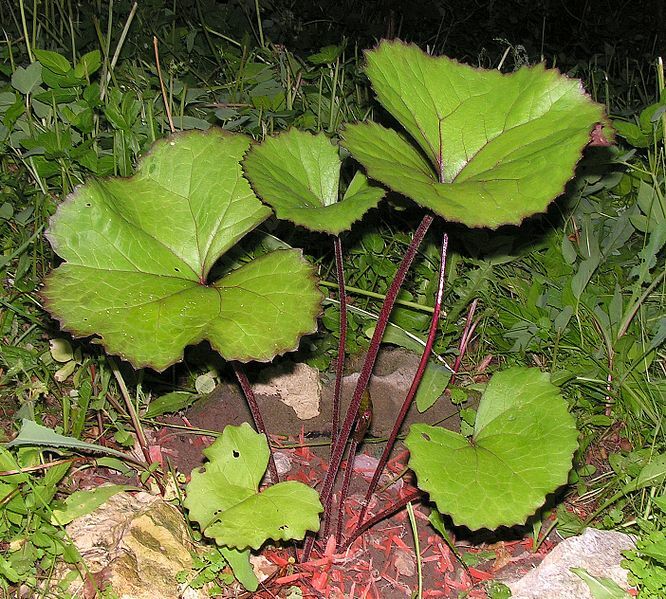 Not to be upstaged by the dark leaves, Ligularia dentata ‘Desdemona’ has a more delicate scalloped leaf edge, green on top, purple underneath. Zone 3. Photo by Bff. 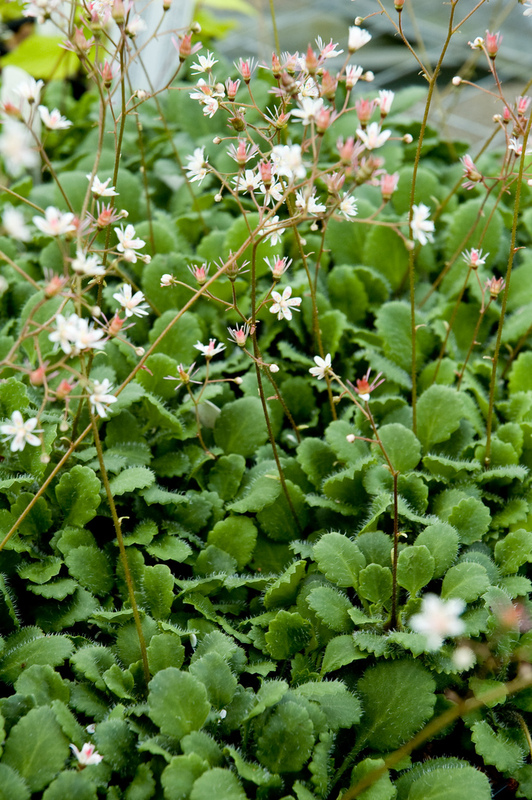 Saxifraga x geum works as a small scale groundcover or a rock garden plant. White star shaped flowers top red stems in summer. Zone 7. Photo by Secret Garden Growers. 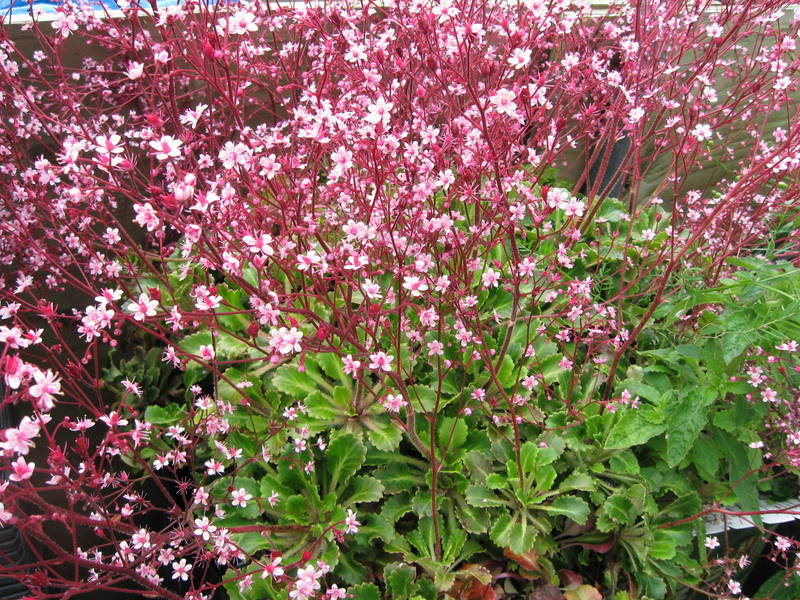 Saxifraga x urbium ‘Miss Chambers’ is another good toothy option, this one with copious pink flowers. Zone 7. Photo by Far Reaches Farm. 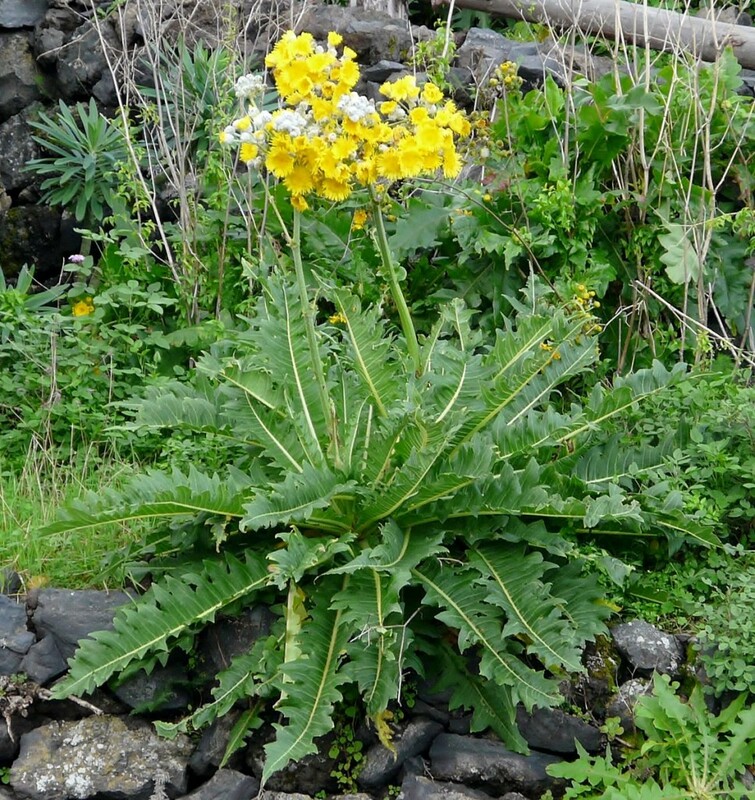 The Sonchus genus is an intriguing Seussian bunch. 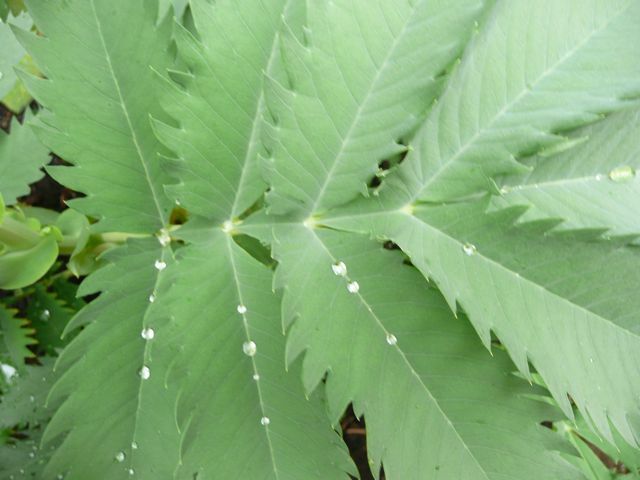 Annie’s Annuals & Perennials describes Sonchus acaulis “like a dandelion on steroids.” Your dandelions might look a little better to you if you think of them as Dwarf Sonchus. Zone 9b. Photo by Carlos munleo. 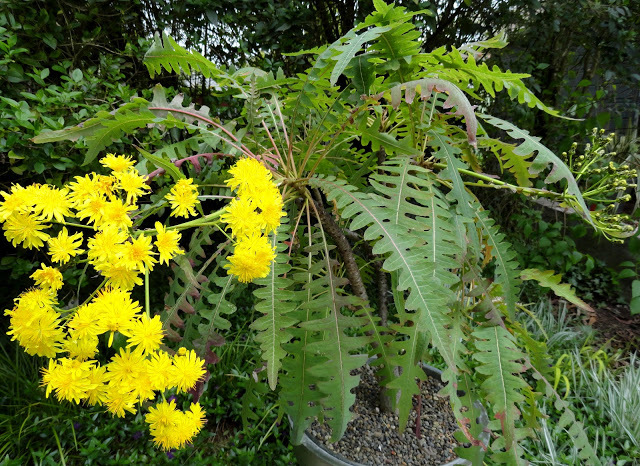 Sonchus canariensis is supposed to be a bit hardier, to zone 8b, which is close enough for me to try here in PDX. 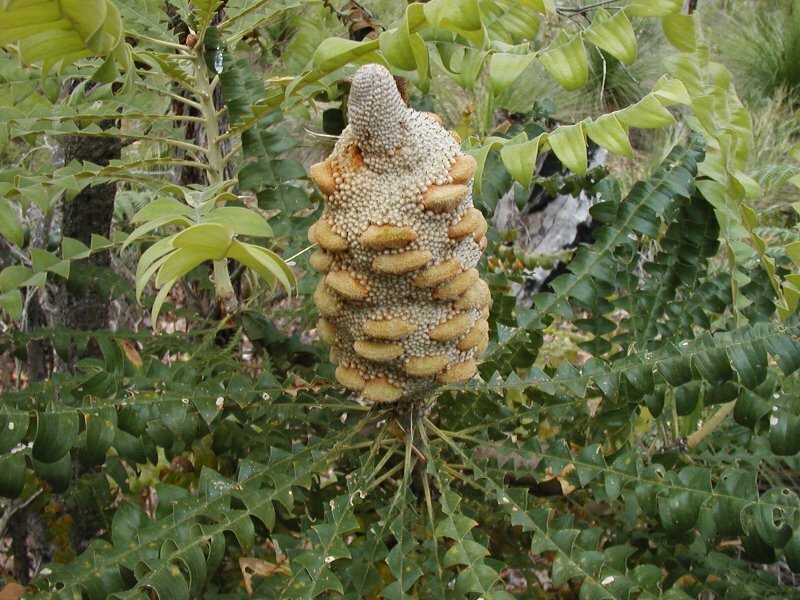 Oh Banksia. Sigh. If only they were hardy in zone 8, but alas, most are Zone 9. 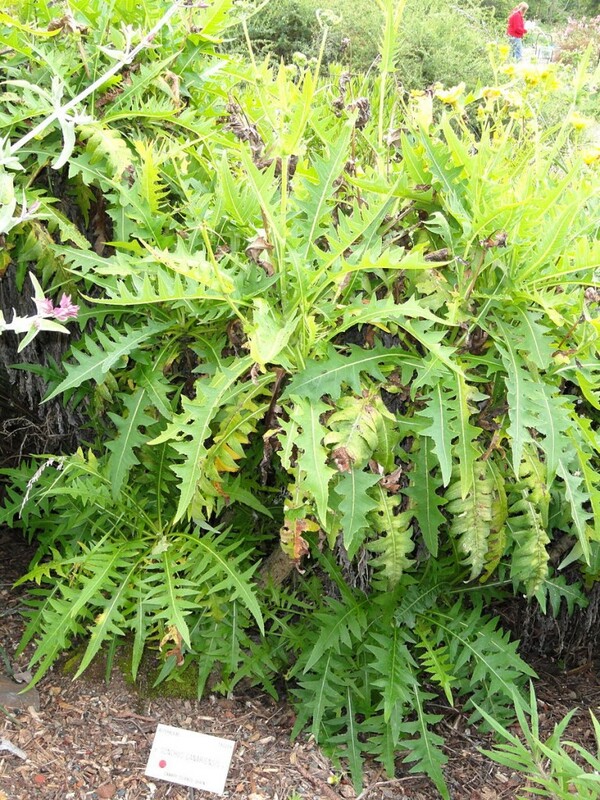 There are a couple that can sneak into zone 8a & 8b, so not all hope is lost, but this serrated stunner is zone 9, so the drill is protection or gambling with it here. 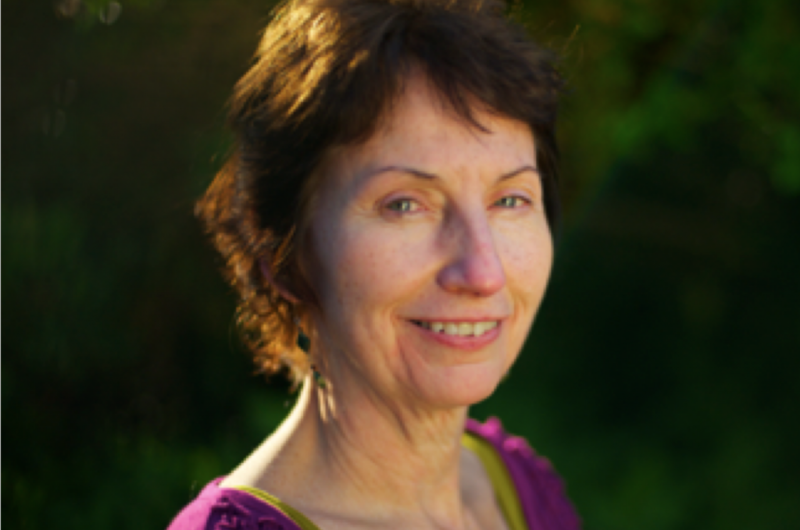 Photo by Loree Bohl. 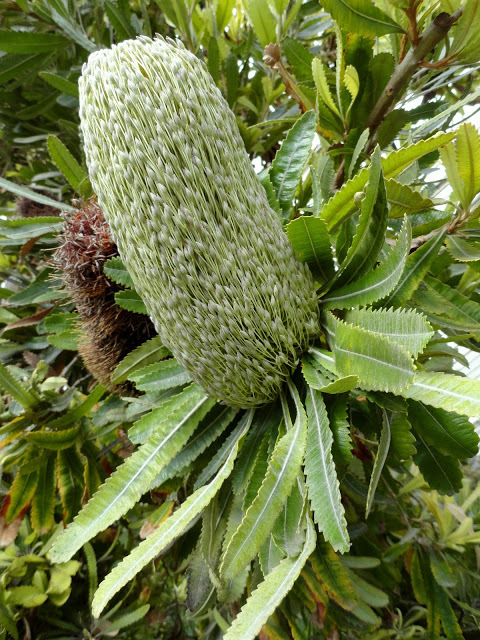 Banksia serrata is another Zone 9 variety, where it can grow to 30 feet! 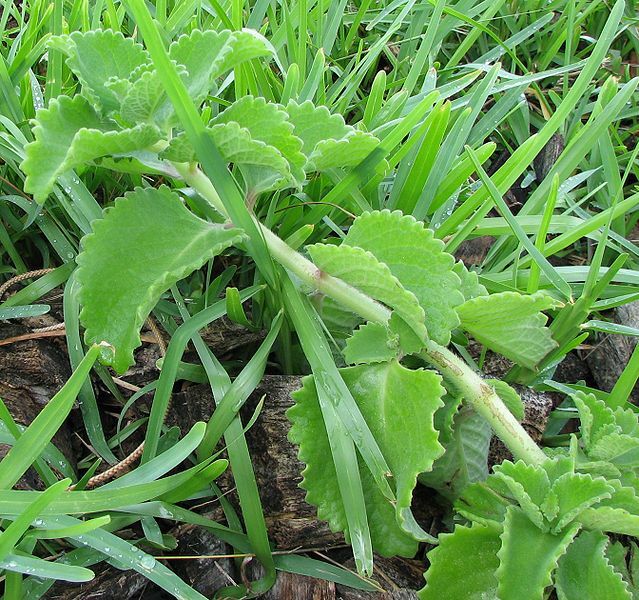 It can survive down to 20° F and regrow from the base if it survives freezing to the ground. 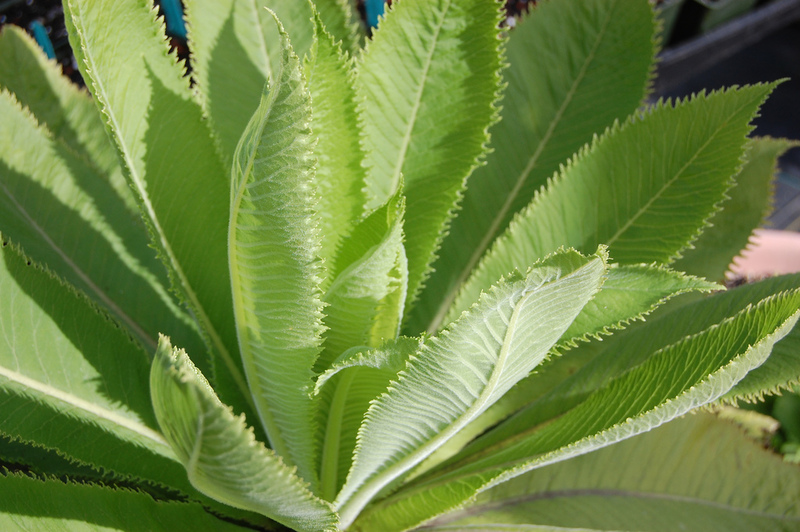 Have you ever seen such perfect saw-blade leaves? Both photos by Loree Bohl. Musshia wollastonii is #1 on my why-the-heck-don’t-I-grow-this list. 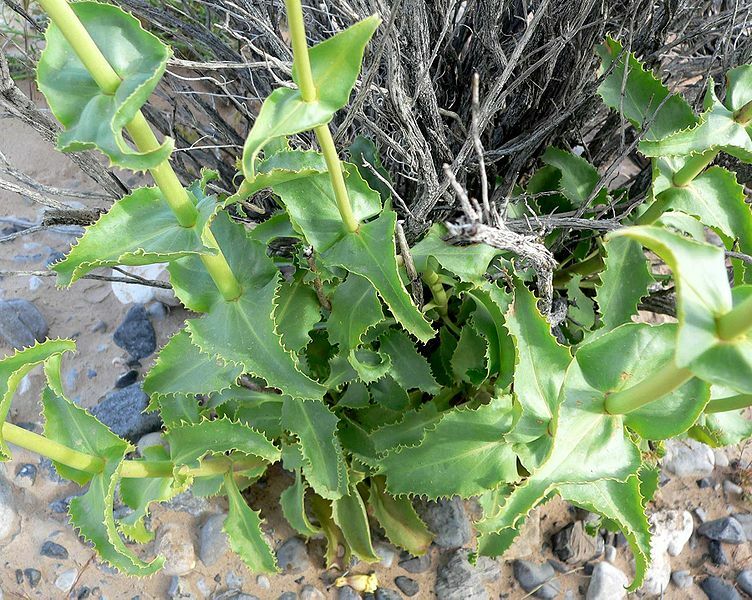 It has a huge velvety rosette of serrated leaves in its first year, and a 7′ candelabra of zillions of green flowers on the second year, leaving behind seedlings after it dies. Zone 8. Photo by FarOutFlora. 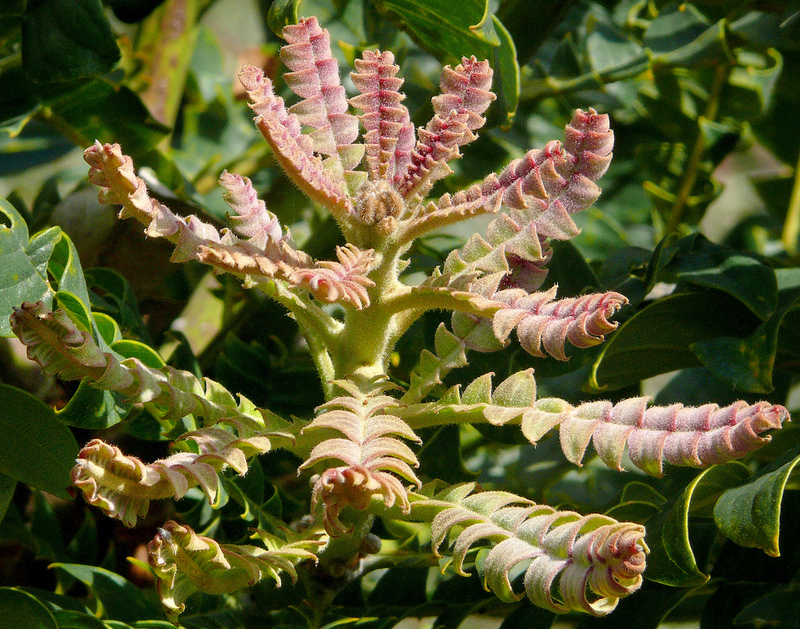 Grevillea ‘Austraflora Fanfare’ is a vigorous grondcover that spreads indefinitely, producing red “toothbrush shaped?” flowers over a long summer season. 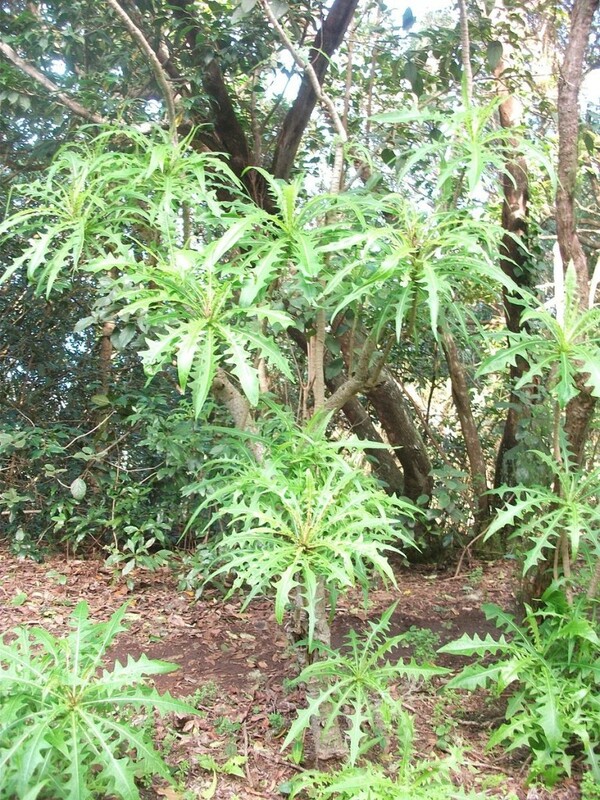 This one grows in Zone 8b. 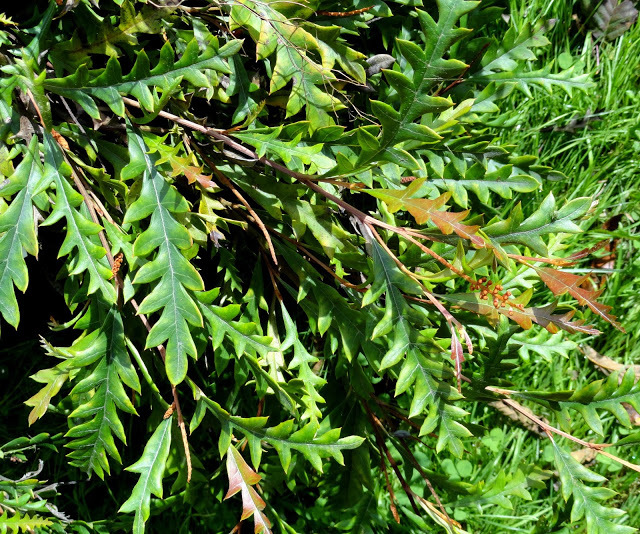 For some reason, for the longest time, I thought Grevilleas were too exotic to grow in Portland, but there are plenty of hardy options. Photo by Loree Bohl. Dasylirions are surprisingly hardy in PDX despite being more common in hot gardens further south. Wet feet will do them in, but in a hot well drained spot, there are lots of options. Dasylirion aff. leiophyllum is so dramatic when the sun hits and shows off those sharp edges. 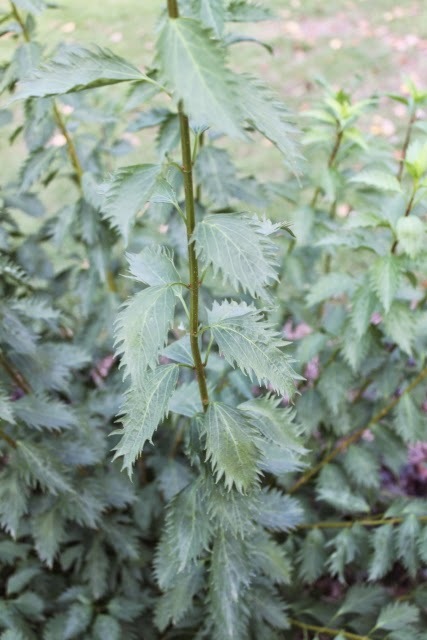 Zone 7. Photo by Karl Gercens III. 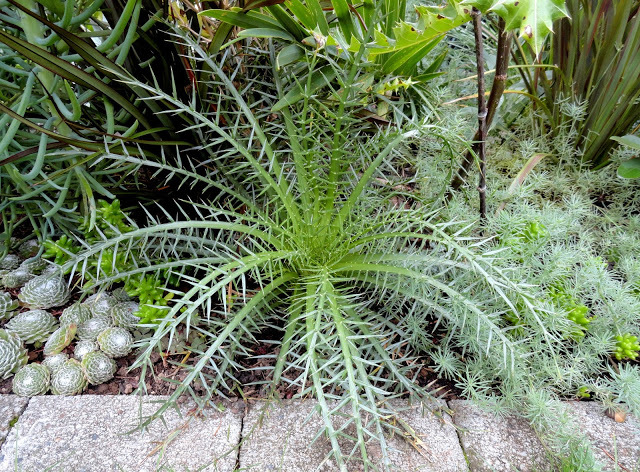 Eryngium venustum is on another level of crazy leaf shapes, with its rosette of fishbone leaves. Zone 6. Photo by Loree Bohl. Most Forsythia are pretty unremarkable when not covered in yellow flowers, but the cut leaf version is a different story, the leaves are rather pretty. Zone 5. Photo by Confessions of a Plant Geek. 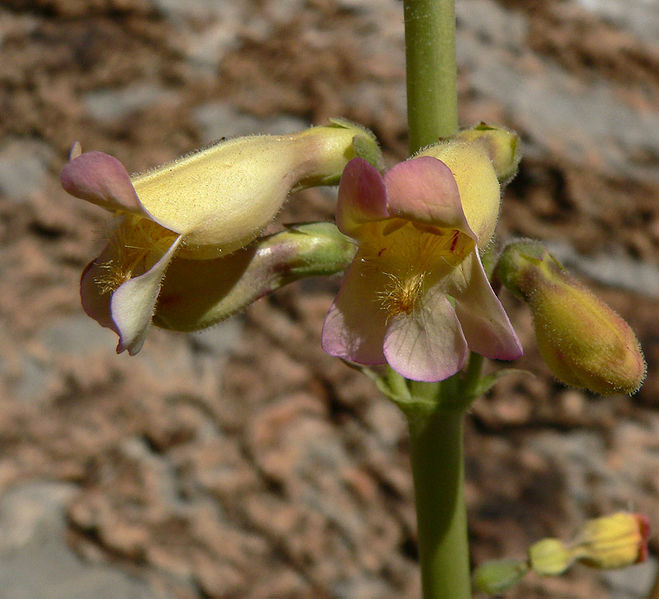 Penstemon bicolor isn’t all about the hummingbird-magnet yellow flowers flushed with pink. 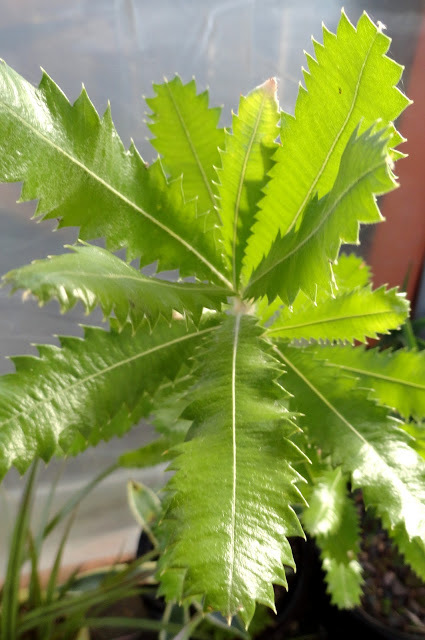 Interesting, jagged curly foliage. Zone 7. Both photos by Stan Shebs. Plush velvety serrated leaves on cuban oregano. 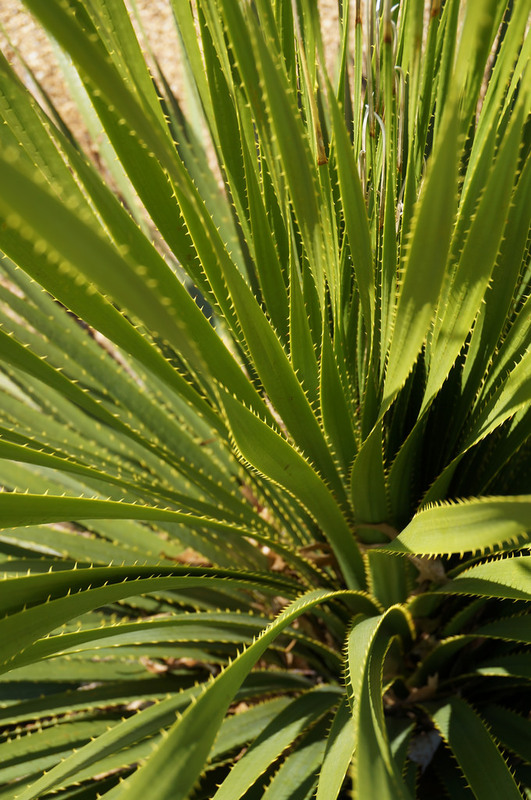 It makes a good houseplant in winter, keeping it close at hand for culinary use. Zone 9. Photo by Eigenmusic. 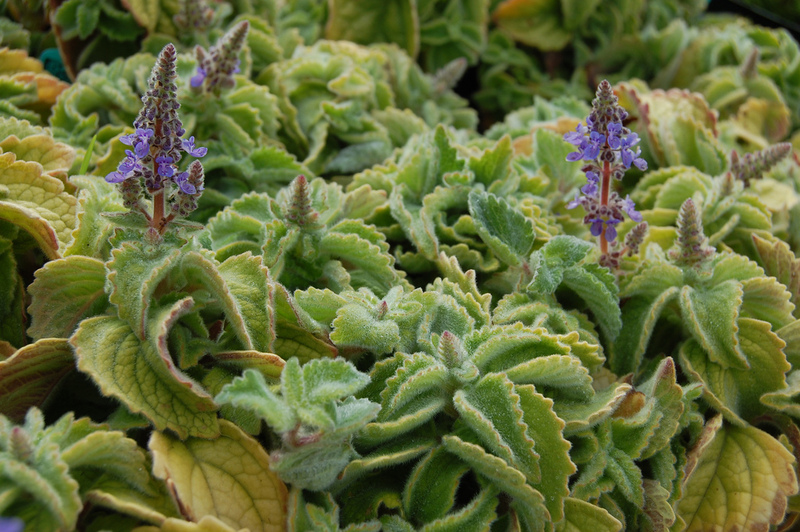 Plectranthus cremnus, despite it’s delicate soft texture, is tough & easy, given good drainage. It’ll form a nice, drought tolerant, deer resistant, weed smothering mat. Zone 9. Photo by FarOutFlora. 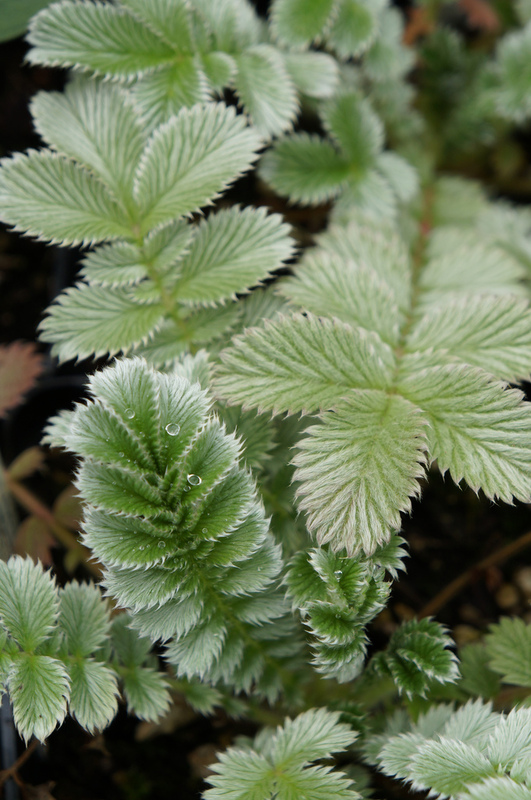 Potentilla gelida is a good candidate for Loree’s list of silver plants. 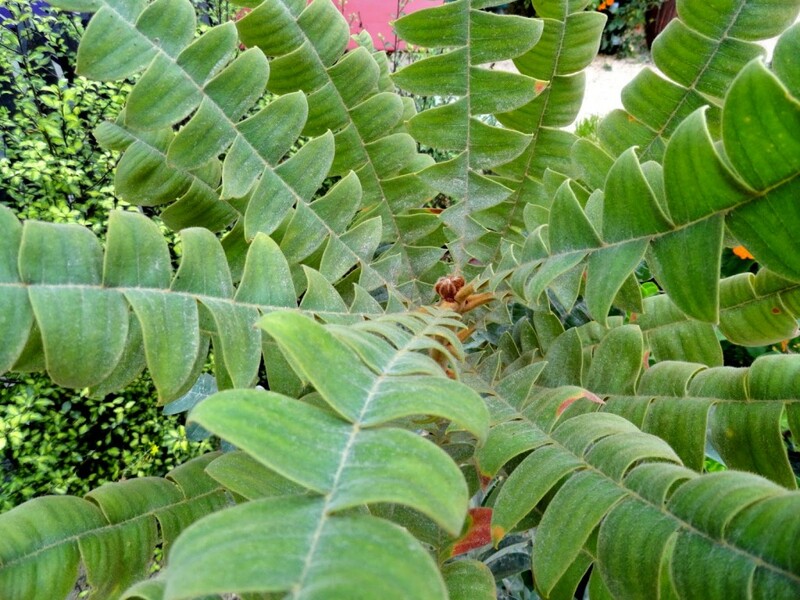 Covered in fine silky threads, it has the real deal gleaming silvery foliage, plus rosette forming serrated leaves. Zone 4. Photo by Karl Gercens III. 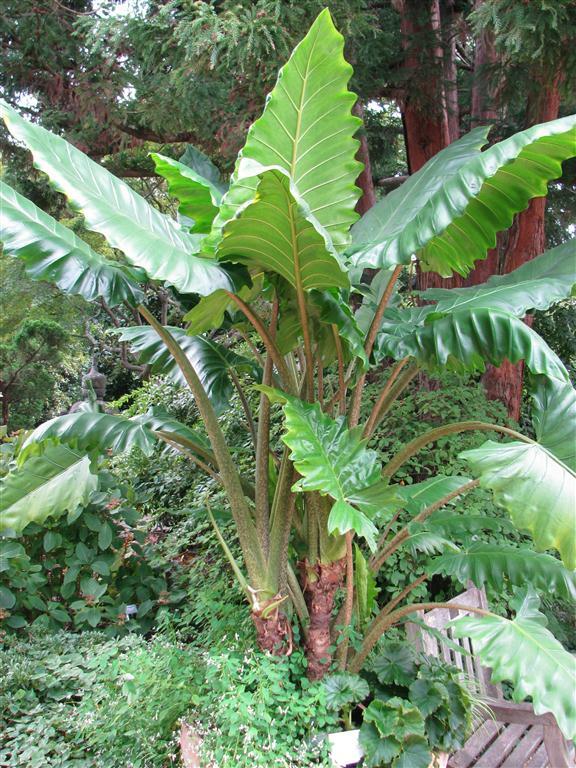 Alocasia ‘Boa’ has extra large wavy serrated leaves on striped stems. Zone 9a. Photo by Brian’s Botanicals. 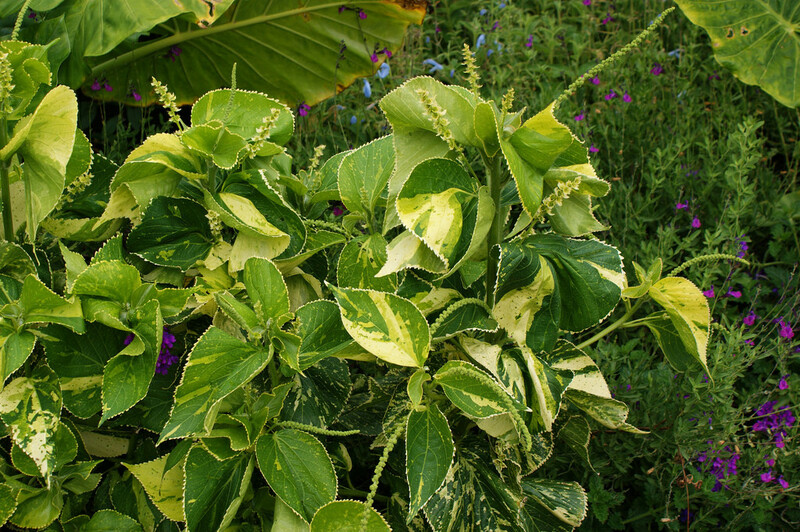 The variegation on Acalypha wilesiana ‘Tahiti’ highlights the serration that might otherwise go overlooked. Zone 10. Photo by Karl Gercens III. 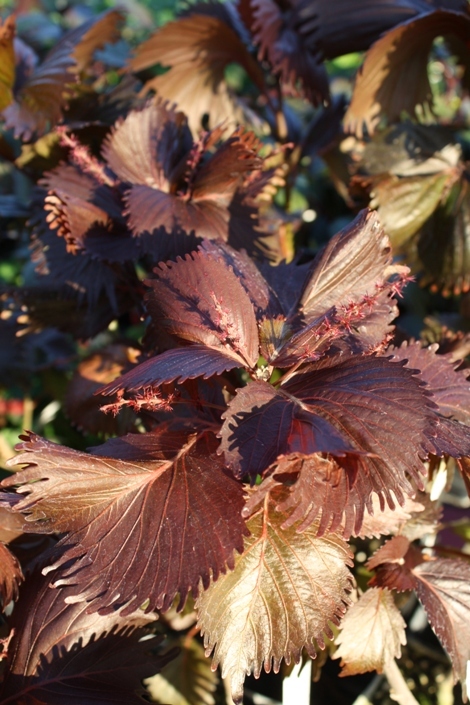 The deeply serrated purple Acalypha wilkesiana ‘Curly Q’ makes me wish I gardened in the topics. Except for the snakes. Yes to serration, no thank you to serpents. Zone 10. Photo by Almost Eden.